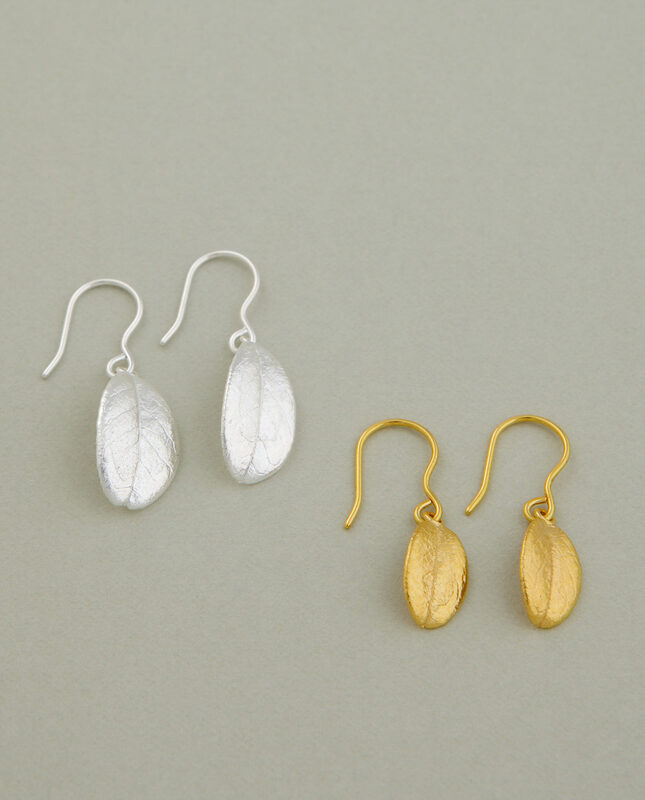 The Lingon earrings are made in sterling silver by Lina Simons. 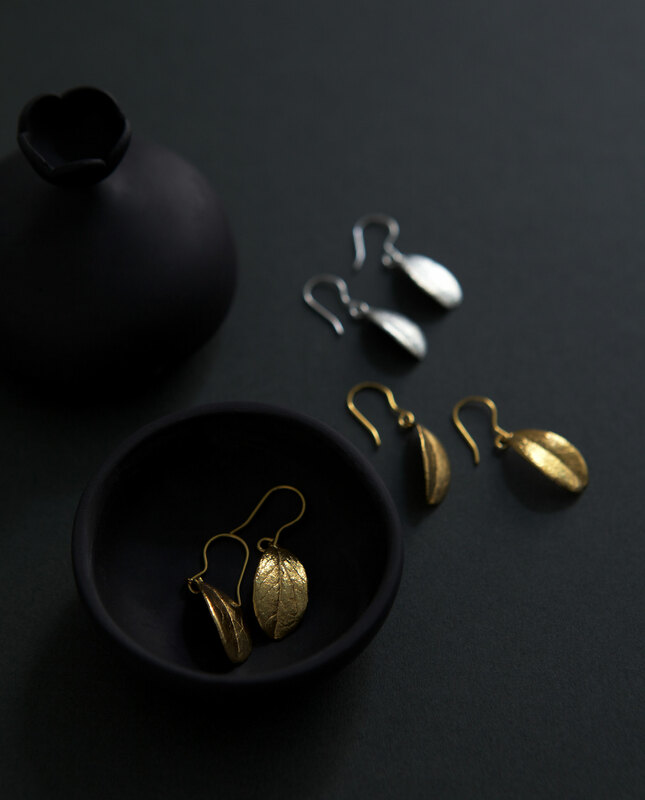 Each leaf is handpicked from the forest, then cast in silver, and as a variation – dipped in gold. Lingonberries grow wild all over the Finnish forests.